Though there is a Ministry of Climate Change and an Environmental Protection Agency in Pakistan along with numerous other nongovernmental organizations also working for environmental welfare in Pakistan, there exists no central forum at the grassroots level which specifically engages the academia, researchers, and creative writers in raising critical awareness regarding environmental crisis and the significance of clean environment for the development of a healthy Pakistani society. 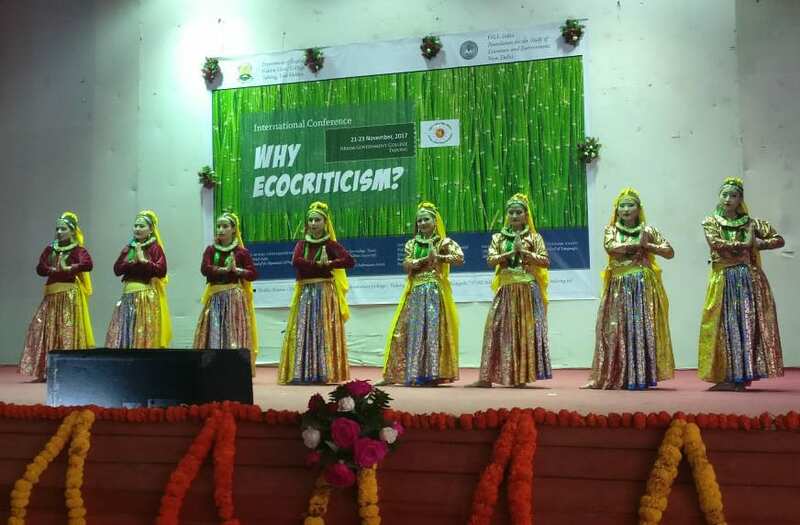 Moreover, there is no forum which predominantly engages women scholars, researchers, and activists to address environmental issues and work for environmental well-being. Critical Thinking Forum (CTF) has taken the lead and launched ASLE-Pakistan and provided a much needed platform to address these issues. We envision creating a vibrant community of academics, scholars, civil society activists, and students in Pakistan. CTF was established in 2010 with the vision to engage young scholars in Pakistan, particularly women, in critical reflection on important contemporary social, cultural, political, economic, religious, and environmental issues. CTF has earned a reputation for being a serious research-based, critical reading and discussion forum. The organization, based at International Islamic University in Islamabad, has numerous seminars, roundtables, course designing, publications, conferences, and numerous research projects and dissertations to its credit. ASLE-Pakistan aims to serve as a common forum for generating enlightening and serious debates, sharing scholarship, and engaging in academic activism on environmental issues in Pakistan. We feel delighted that we have successfully created an inclusive community of supportive and engaged scholars to carry forward our agenda. We sincerely hope that with the support of our friends in the civil society, writers, educators, and scholars, we will be able to make a positive intervention in the rethinking of traditional disciplinary boundaries, pedagogical practices, and research methodologies and thereby attempt to significantly alter the traditional institutional thinking about the environment and its relationship with human beings. Using platform of ASLE-Pakistan, we wish to nurture our young students and help them grow as environmentally-conscious, ecologically-attentive, and responsible citizens of the 21st century. ASLE-Pakistan was formally launched at a recent CTF conference in Islamabad and featured ISLE Editor Scott Slovic as a keynote speaker. Read the article. For more details, see the ASLE-Pakistan Information Sheet. FSLE-India stands for the Foundation for the Study of Literature and Environment-India (nѐe ASLE-Delhi). Since October 2011, ASLE-Delhi has been a chapter of ASLE-India. However, after a formal meeting of various scholars of Delhi University and Jawaharlal Nehru University held in April 2015 the idea to form an international organization parallel to ASLE-India came out and this was approved by Dr. Murali Shivramakrishnan, the Founder President, ASLE-India and Chief Advisor, ASLE-Delhi. The Committee was headed by the Zonal Joint Secretary of ASLE-India, Rishikesh Kumar Singh, an Ecocritic, a researcher and counselor based in New Delhi and constituted of eleven scholars from different parts of the country. ASLE-Delhi then formed its own Executive Council and appointed one Joint Secretary in each state of India (except Jammu & Kashmir, Maharashtra, Kerala, Karnataka, West Bengal, Uttar Pradesh and Madhya Pradesh- In these states two joint secretaries are to be appointed) to meet its various academic goals. Additionally ASLE-Delhi also appointed three to five Coordinating Officers/ Coordinators in each state to work parallel to the Joint Secretaries and to synchronize with them in any project or assignment. In its first GBM (General Body Meeting), the Executive Council of ASLE-Delhi decided to rename it as FSLE-India (Foundation for the Study of Literature and Environment-India) to reflect its pan-Indian mission and reach. FSLE-India is as an open academic forum for creative interaction among intellectuals, academicians, environmental activists, naturalists, nature-lovers, and those involved and earnestly dedicated to these issues. It intends to amalgamate two relevant issues, Gender and Human Rights, with Literature and Environment. Rishikesh Kumar Singh has named this the LEGH Movement (Literature, Environment, Gender and Human Rights). This is the first venture of its kind where all the four issues are juxtaposed together. 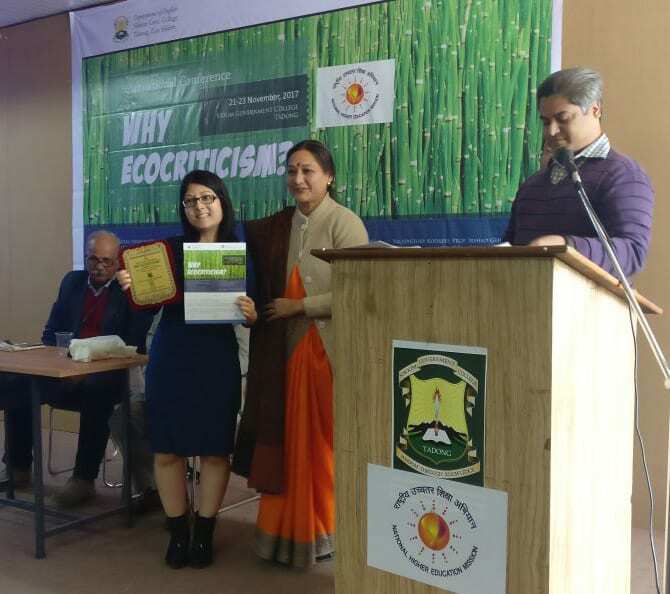 The group hosted a conference from November 21-23, 2017 at Sikkim Government College, Tadong India. There were almost 130 attendees, and approximately 90 research papers were presented. Read the full Conference Report.